According to a senior Armenian military official, it was Azerbaijan that had sought a ceasefire several days after renewing hostilities in Nagorno-Karabakh early this month. The ceasefire agreed between the chiefs of the general staffs of the armed forces of Armenia and Azerbaijan in Moscow on April 5 put an end to the worst escalation of violence in the conflict zone since the 1994 truce. Hakobyan, who in the past also served as Nagorno-Karabakh’s defense chief, said that he believed Azerbaijan would “draw conclusions” from its actions. “If it tries to solve the Nagorno-Karabakh conflict this way again, the response will be much tougher,” he said. 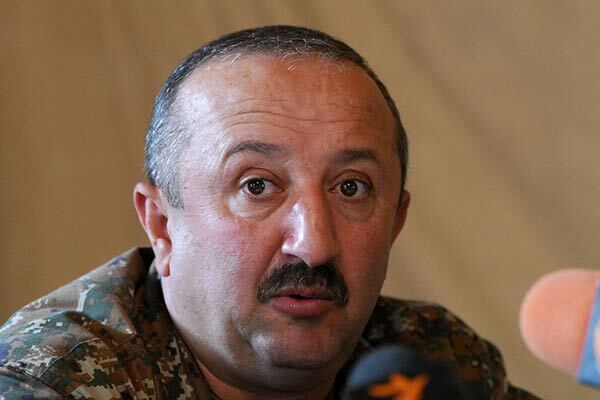 According to Nagorno-Karabakh’s Defense Ministry, 62 Armenian soldiers were killed in action and more than 120 were wounded in clashes with Azerbaijani forces. The fate of one Armenian soldier reportedly remained unclear as of Monday afternoon.